So it’s late September, what to do, what to do? I know, let’s go to an Oktoberfest! What most people don’t know is that traditionally, most Oktoberfests (including the original in Munich) are actually held in September. No worries; here is a smattering of what’s left to get to before all the beer, brats and Bavarian pretzels are gone. New Ulm, located in southern Minnesota, was named for Ulm, Germany by the German immigrant founders of the town in 1854. Capturing the title of Polka Capital of the Nation in 1940s, home of the August Schell Brewing Company and maintaining one of the largest glockenspiels in the US makes New Ulm the place to go for Oktoberfest. They have been holding Oktoberfest during the first two weekends of October for the last 33 years. They celebrate at four different locations throughout the town with entertainment, food and of course August Schell Beer! Tempe, AZ has more of a modern day mash up of Southwest meets Mother Country Oktoberfest. Sure you can get your brats and strudel, but you can also get your fair share of fare from the Arizona Roasting Co. with items like traditional Mexican food and fresh, hot Roasted Corn. 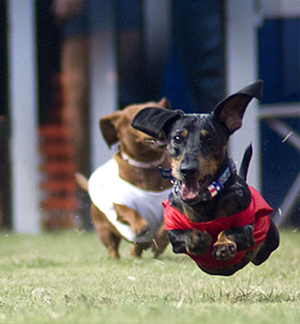 They throw in Dachshund races, a 10K foot race where it is not uncommon to see folks lined up in lederhosen, and every kind of music from rhythm and blues to alternative rock to traditional polka. This year the event takes place Oct. 10-12. Beer and brats in the desert sure sounds good to me. What the Helen is going on in the Georgia Mountains? "HelenGAstorefront" by Thomsonmg2000 - Own work. Licensed under CC0 via Wikimedia Commons. So where was the photo above taken? Munich? Hanover? Berlin, maybe? How about the tiny little town of Helen, GA in the Northeastern Georgia Mountains! Originally a logging town that was in decline in the late 1960’s, the town reinvented itself by becoming a Bavarian Alpine Village. Because of this, every building built since then, including the Huddle House and the Wendy’s, looks like it came right out of the Sound of Music. Well, what’s good is a Bavarian Village if you don’t have a great Oktoberfest to go along with it and in Helen, they milk every drop of it. Their Oktoberfest starts in early September and goes all the way till the first week of November. Beer and food, entertainment and fall foliage make this a must-see. If you have the ability to pull off an impulse trip to Germany, there is still time to see the real thing. 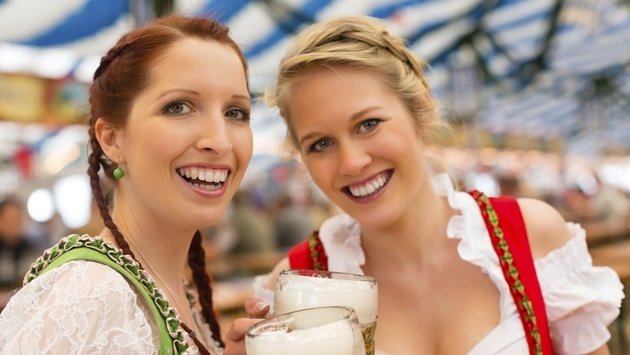 Although it’s widely known that some of the smaller towns in Germany have as good if not better Oktoberfests as the commercial giant, if you are looking for the biggest, get to Munich. 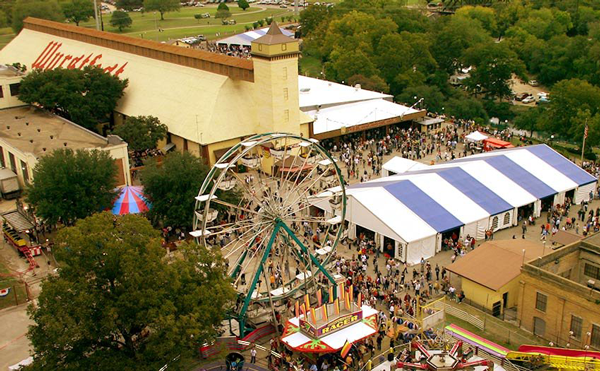 Boasting 14 huge beer tents, live music and pretzels up to 15 inches in diameter, the original Oktoberfest celebration goes all the way to Oct. 5.